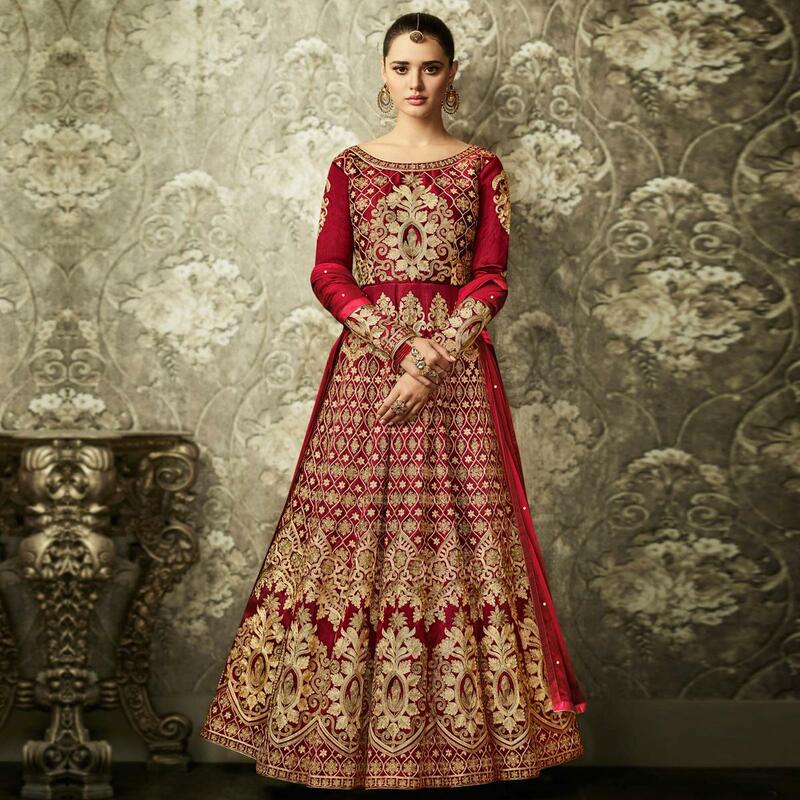 Authentic elegance can come out as a results of the dressing trend with this attractive red colored mulberry silk floor length anarkali suit. 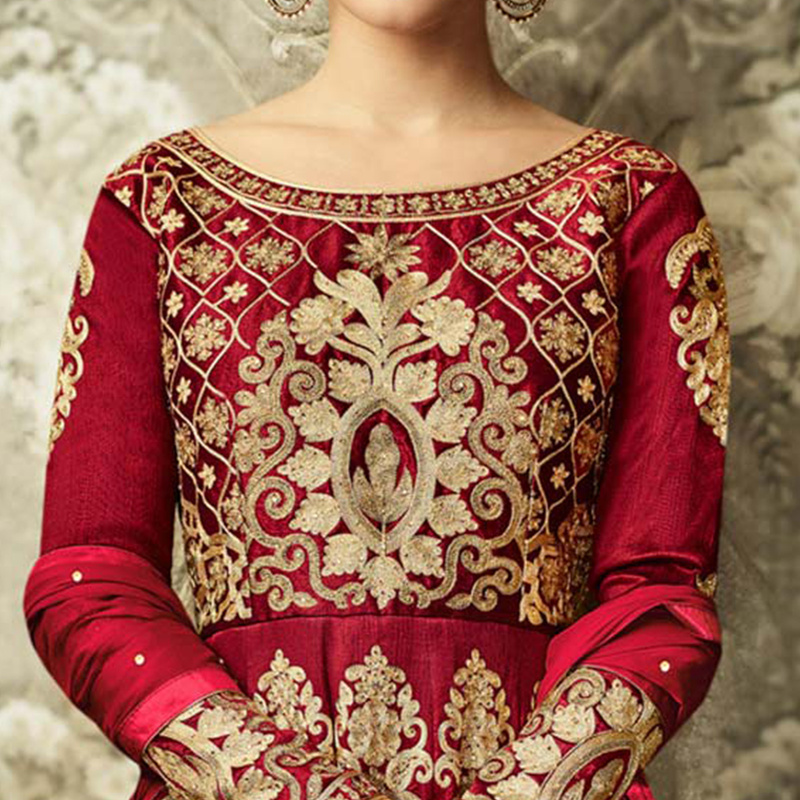 This brilliant semi-stitched outfit creates a dramatic canvas with remarkable embroidery with lace work. This semi-stitched outfit is attached with santoon inner and bottom with chiffon lace dupatta. Specially designed to wear for wedding functions, receptions, engagement ceremony and family occasions, where you want to be the center of attraction. Team this with classy accessories and high heel for a complete look. Get this attire now before it's gone out of stock.